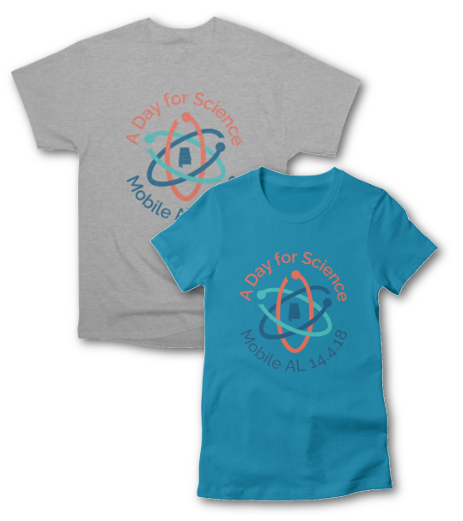 Join us for “A Day for Science” in downtown Mobile’s Bienville Square! This free open-air science fair for all ages will feature booths with local scientists and science-based organizations, and local students are invited to bring their science fair showboards for a poster session! We’ll have a sign-making contest, keynote speakers Dr. Kristine DeLong and Ben Raines discussing The Underwater Forest , and finish up with a Parade for Science. Bring the kids, a spirit of fun, and your love for science! “A Day for Science” gives the public a chance to meet local scientists, learn about the wide variety of fascinating science being done in our community, and advocate for the importance of science in public policy and our community. This event is an official satellite event of the national March for Science event taking place on the same day. We are committed to the idea that diverse participation in and support of science makes science better for everyone. To that end we welcome people of all races, ages, faiths, sexual orientations, gender identities, abilities, immigration status, and classes, who care about science and its role in society.